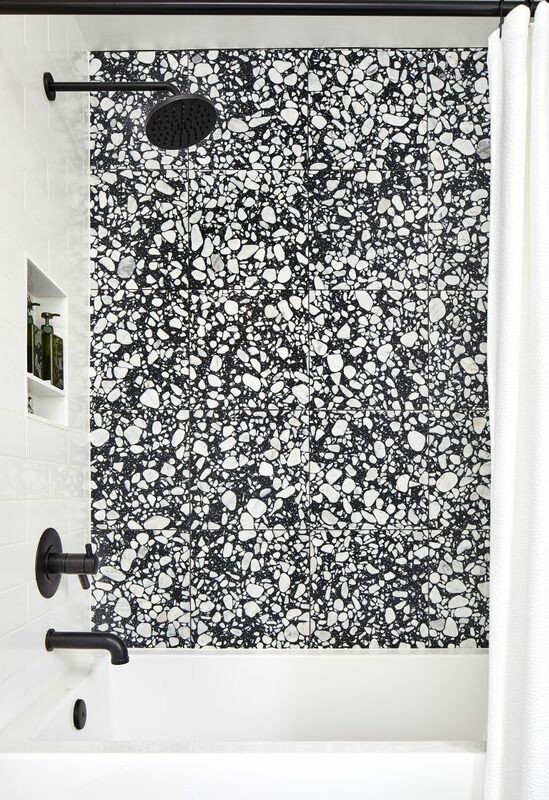 Our clients wanted something new for the original master bathroom and hall bathroom. Keeping the same footprint, while freshening up the space. 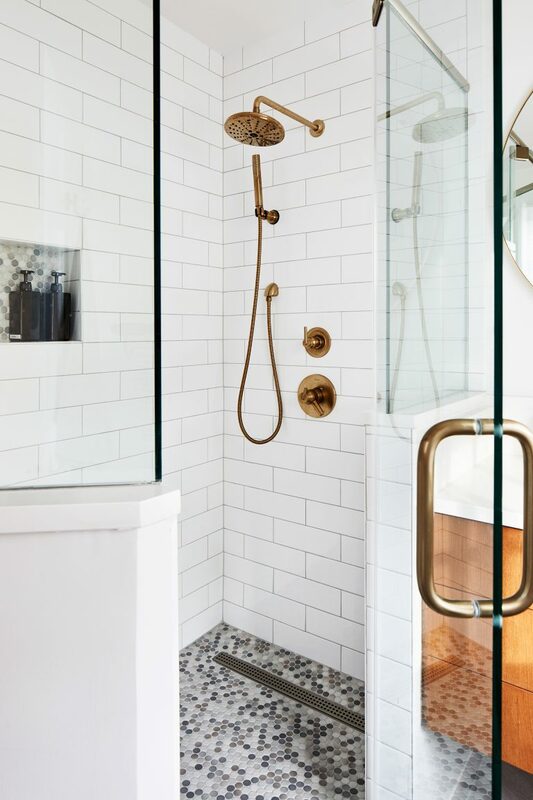 They wanted something exciting for the hall bathroom and something trendier for the master bathroom. 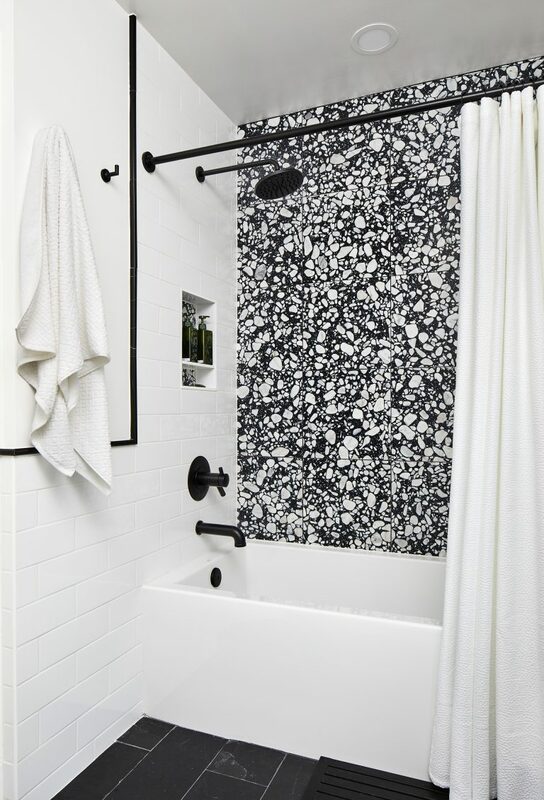 The hall bathrooms back wall is made from real terrazzo tile. 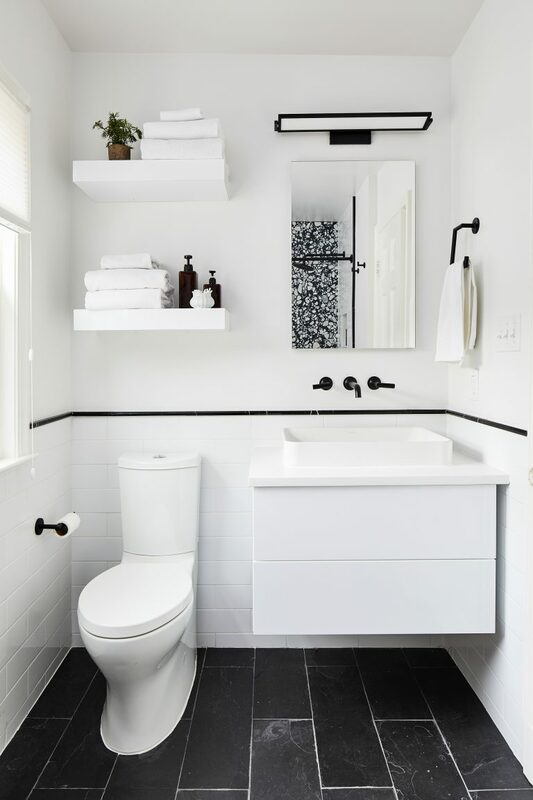 The black slate on the floor helps the room feel larger, and the floating vanity is great storage for someone who really didn’t want to have an actual vanity at all. 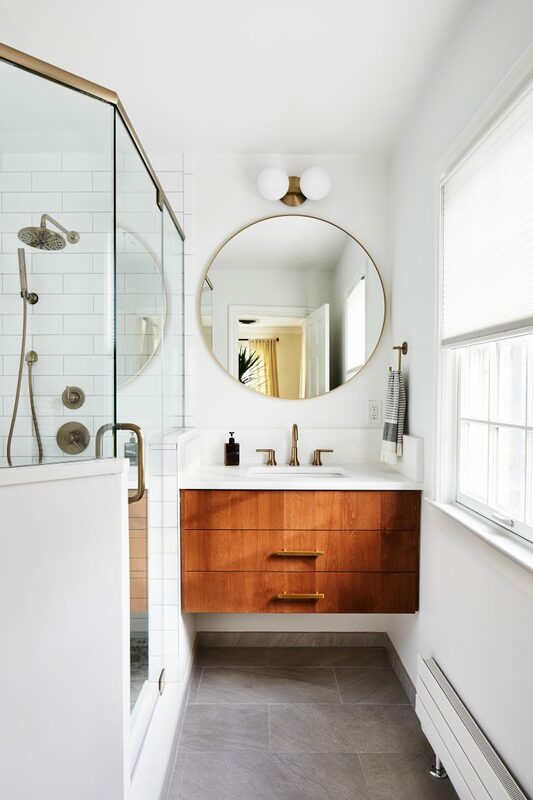 The master bathroom has a unique light and round mirror to play off the warm cherry cabinet below. Smaller spaces seem to be a challenge, but for our clients they knew they wanted to keep the footprint. We made the best of out of the situation, and provided our clients exactly what they wanted.